Sakyamuni Buddha said that religion is like a wall. We need it to support our growth, but when we know how to walk, we can leave the wall and walk in our own. The same process happens in Budō. As a beginner we need a wall, this is the fundamental techniques found in the Tenchijin. As we grow as a Shidōshi, we need a new wall, this is found in the Ryûha. When we know how to do the waza, we need to free ourselves from them. This is what Sensei meant with Sasae nakusu. Because we built our taijutsu on these walls, we need to leave them behind and walk alone. Waza are supporting our understanding, but it is only intellectual. It is Omote. We have to interiorize the student Kaname, this is the Ura level. There is no thinking anymore, no preconception. A real fight is not about doing one waza or another, a real right adapts seamlessly to what the attacker is doing. This adaptive process is not included in the waza, it is the consequence of it. And it has to be trained. Because everything have been integrated in the Sainō Konki, we are able to mix all our knowledge into one body flow. Sensei repeated many times that waza cannot be used in a real fight. That if you do use waza, you get killed. This year, we are entering a new cycle of learning that is beyond the form. The “Zero state” can be achieved only if we learned the waza, and got rid of them. At this level, we do not need the support anymore. This is the metaphore of the soup. 3. Once cooked, you use the blender, mix everything together and serve it. The soup has the flavour of the many ingredients you put in it. You recognise the tastes, but you cannot see them. You have to do the same with your training. If you don’t do that, your fighting skills are very limited. Natural movement is directly linked to the Sakki. Once you get rid of the waza support, you can develop your intuition, your awareness, and your spirit. Jûgodan should train this to continue their Budō progression. Sasae Nakusu is only that, and this is a lot. Receiving the Jûgodan is not the end, this is just the beginning. 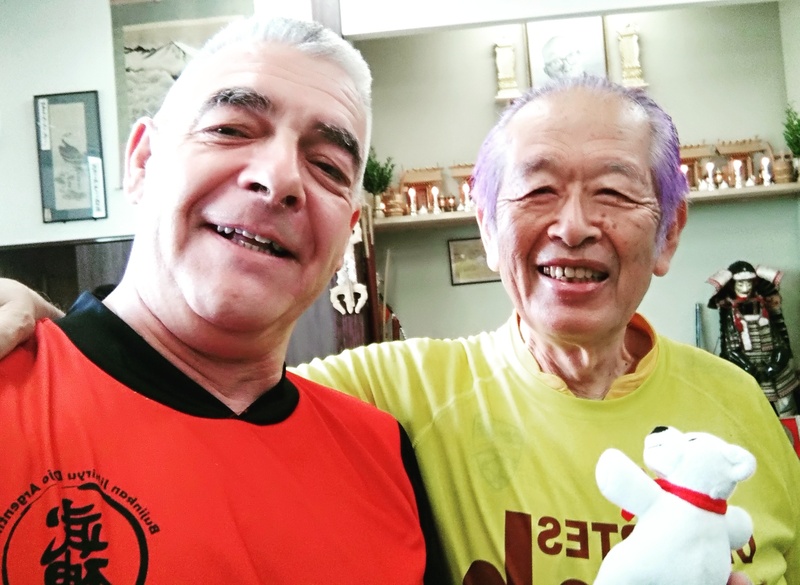 Previous Post Junban: Is Nagato Sensei Cartesian? “Support” in Japanese is normally “sasae” (支え). Yes, my mistake. George Ohashi told it too. It has been corrected in the text. Thank you for your help. Thank you for your texts .